Now that you know about the different types of dogs that enjoy dog park visits it is important to look at the rules and regulations followed by dog parks. Most of the dog parks have specific rules and regulations, some of them are related to keeping the aggressive dogs out of the park or only allowing dogs that have been vaccinated. But mostly these rules have been made to ensure the safety of your pooch. Puppies that are younger than 4 months should not be taken to dog parks since they are in danger of catching contagious diseases before their immune system is ready to protect them completely. The other factor is that adult dogs and adolescent dogs treat puppies quite roughly which can result in puppies behaving defensively or even aggressive and fearful around other dogs in the future. If your pooch is fearful around other dogs and people, then he should not be taken to the dog park because it can result in causing more fear in them. It should puts other dogs or people under threat since a fearful dog can become aggressive while defending himself when he sees unknown people or dogs. Small dogs should be kept in a separate fence than large dogs as specified earlier. This is due to the fact that large dogs might unknowingly hurt small dogs while playing. Once you find that your pooch does not fit in any of these pointers then you get the green signal to take your pooch to the dog park. But still you might be concerned about your pooch’s behavior when you take them to the dog park. Before letting the dog free in the dog park ensure that they have been trained thoroughly to come back to you when recalled. This is very important as dogs have the tendency to run away when they are anxious. Having recall training will make the pooch know that you are looking for them in the dog park. When you take your pooch to the dog park ensure that you have bags with you to carry your dog’s poop. You do not want your dirty dog to step inside the car with all the filth of the dog park. Hence, before taking him to the park dress him properly and keep towels with you so that your dog does not spoil your car while returning back from the dog park. Dogs should be vaccinated properly so that they are parasite free without any infection or contagious disease while travelling to the dog park. Dogs should be physically fit without any problems in joints which yields to hip dysplasia, arthritis or other structural problems. These dogs are prone to high risk of getting hurt or stressed with the expectation of being hurt. As a dog owner you should understand the body language of your dog. When dogs are acting normally they bark, growl, snap and even chase, but there is a thin line of difference between normal and aggressive behavior. Playing bows and tag-and-run are a normal playing behavior of dogs, but when they are constantly nipped, mounted or chased it can result in unwelcome fights. If you find that your pooch is being bullied, ask the owner of the dog bullying him to take him away from the dog park. If you do not act promptly it can result in serious injury to your pooch. 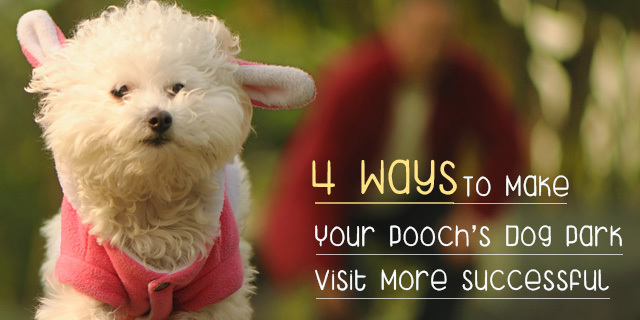 If you follow these guidelines it will surely make your pooch’s dog park visit successful. Share your pooch’s experience of dog park visits with us and we would gladly incorporate those ideas in our following blog. 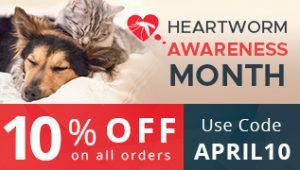 NEXT POST Next post: How to Identify Heartworm Infection in Cats and prevent it?